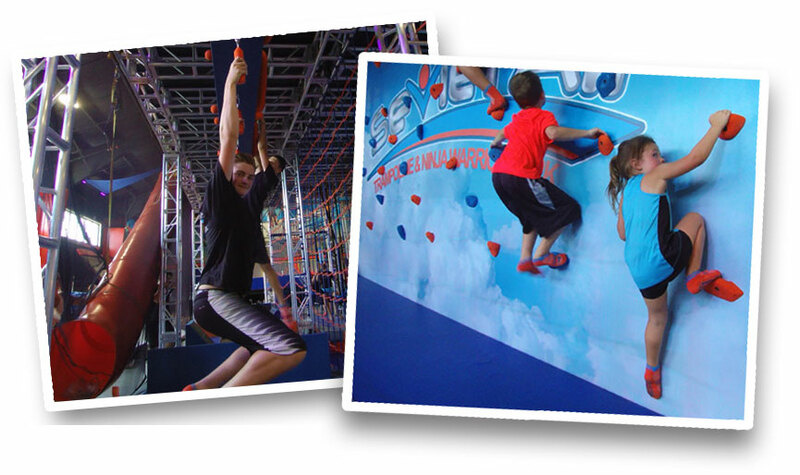 SEVIERVILLE’S NEWEST AND LARGEST INDOOR FAMILY ADVENTURE PARK! Join us for high flying fun in the Smoky Mountains! Our facility features 38,000 square feet of advanced & junior Ninja Warrior Courses, Trampolines & a First Ever 3 Story Net System for 2 to 10 year old! We can also host your party or special event so your whole group can experience the thrill and excitement. We also have a concessions area that features delicious treats from pizza to ice cream for when you need to refuel after the excitement. And make sure you check out our apparel so you can rock your very own Sevier Air gear. Please watch the video below and review the rules underneath! We strive to be as safe as possible here at Sevier Air, but we need your help to make that possible. All participants should strive to be as safe as possible, minimize injuries, and have fun! There are however, risks and the possibility of injury that are inherent in such exciting, dynamic activities. If you are uncomfortable with these risks, we will refund your money before your jump session starts. If you’re still up for some high-flying fun though, read the rules and fill out the waiver so we can get your session underway. Must wear tennis shoes or participate at own discretion.